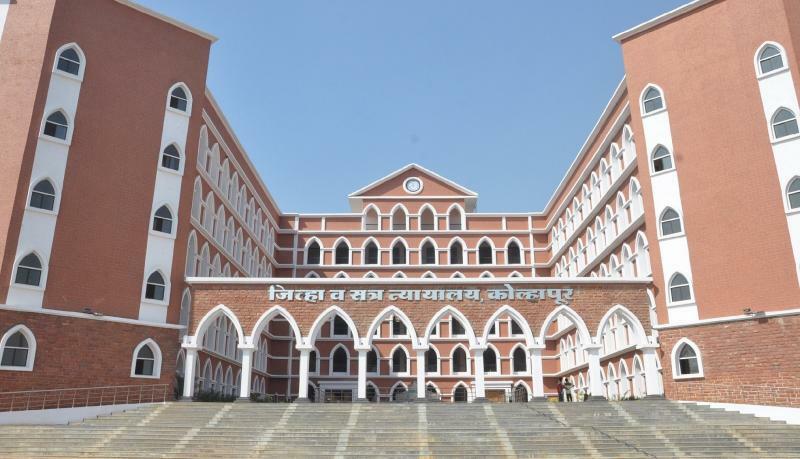 Kolhapur Judicial District has had a glorious past. In 1844 rulers established first court in Kolhapur. The princely state had its own High Court and Supreme Court. The District Court established in year 1867 & eminent jurist Late Shri. Mahadev Govind Ranade became 1st District Judge of Kolhapur. The Old Building of District Court is more than 150 years old. New building "Nyayasankula" construction began in 2009 and inauguration ceremoney held on dated 07-02-2016. The Nyayasankul built in qualified standered with room including 36 court halls & allied offices on 2nd, 3rd, 4th floor besides well equipped library. The ground floor is largely occupied by Advocate Bar, Public Prosecutor, E-Center, Canteen having with central fountain.